Facades automatically matches Streetviews to building coordinates (latitude/longitude) and then creates photos of the building facades. The building photos can then be added to your existing GIS system. Or to any documentation. Even printed catalogs. For the building coordinates (latitude/longitude), point layer data in SHP, GDB, TAB, KML, GeoJSON and GML formats are accepted. Set the maximum distance allowed from the building to the streetview. 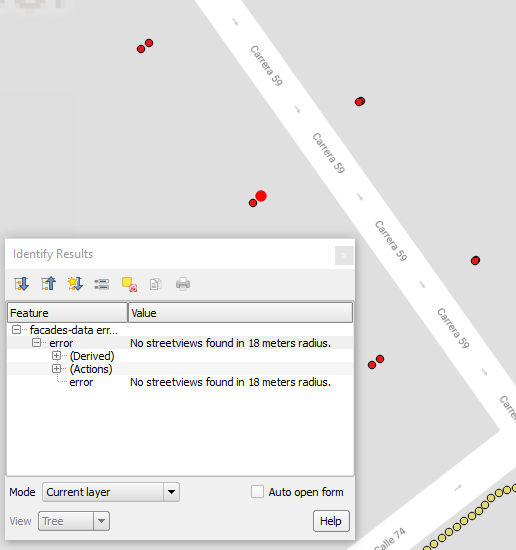 The default is set to 25 m.
Record Streetviews by car with the recording mode set to ‘distance’ and ‘1 meter’. With the Creator program, configure the recorded project as usual. Process the project with Creator for Facades. 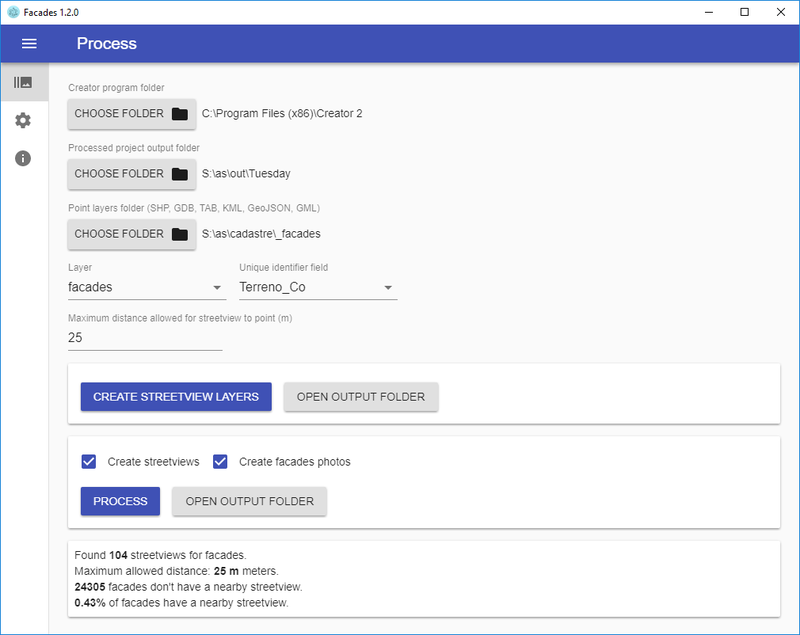 With the Facades program load both the point data layer and the Creator project’s output folder. With the Facades program create the Streetview layer, it has one Streetview for each building. With the Facades program create the buildings photos.